Few words needed today.1 Just enjoy the beauty of some ephemera at its purest -- a pair of old library circulation cards. 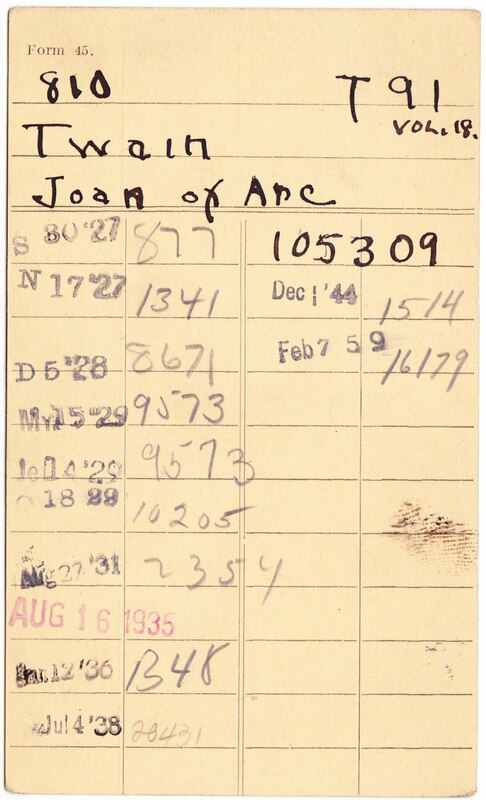 Joan of Arc was checked out 12 times in nearly 32 years for an average of once every 2.67 years. Wonder how that compares to other books on library shelves then and now?